just like I predicted here are two very good posts about the Europeans. As always Fred has a great long post up (how does he find the time???). The second post is from Mike Cooke who did an amazing job with his Ninja. now the Europeans are over and again it has been a regatta with lots of wind just as I like it. Unfortunately here in Berlin there is still no wind in sight, I actually planned to go sailing with my brother, as he has a day off, has got my car and a valid license. However the forecast says 3-4knots. Sometimes it seems all a bit unfair. It is really impressive to see first and second place having the same amount of points, it must have been a very close race till the end. Also I am quite impressed with Mike Cooke on his Ninja – it must be a really good boat. I bet there will be more posts about the Europeans soon. I am craiving to go mothing. But as I can’t I have made a “video”. Actually it is just a cool slideshow of known pictures made with animoto. After my last post I have been thinking a lot about what to do with the Europeans. I have decided not to go as it would have been illegal to drive without a license and my lawyer André recommended not to do it. So I am staying in Berlin working and I am really pissed! I hate governments – all of them! 1. It looks like I cannot go to the Europeans! Why? Because I need to hand my driver’s license to the f***ing german police. Why? Because in December I drove 155km/h on the German autobahn where I was only allowed to go 100km/h. To defend myself: it was 4:30 a.m and it was a three lane road with no cars in sight. Why did this come so unexpectedly? Well, I had 6 month to turn in my driver’s license but was told that I could pay 200€ instead and keep it. Now I advised the payment and got a call that I cannot keep the license as I would have needed to fill out a form within two weeks after receiving the original letter. (I was in Brazil at that time) The good news is that I will get my money back, the bad is that the police will turn up at my parents house (officially I never moved out, as I don’t want to do all the paperwork) and collect my driver’s license. I have got time till the 19th of June and will get it back on 19th of July. 2. I didn’t sail today! I went to the sailing club for the first time after moving to Berlin. I collected all stuff from different places (some stuff was at my boat, the sail was in my apartment while the mast was in the office) – as moving caused some trouble. I am still excited and just arrived in the office after some early morning beers last night. Yesterday we have been going to Mini Seedcamp Berlin as we have been selected one of the top 20 start ups from over 60 applicants. So yesterday we pitched studdex to a lot of investors from Germany, France, UK and neighboring countries. I had to do a 5 minute pitch describing what studdex does. Then all the investors picked their favorites and we have been appointed one of the four winners of Seedcamp. Here is the TechCrunch article. Most of you have probably already heard the news about my involvement with the Assassin. Since Saturday I am (or better olapa, my company) is an Assassin reseller for Scandinavia, Netherlands, Belgium, Luxembourg, Germany, Switzerland, Italy, Poland, Czech Republic and Hungary. 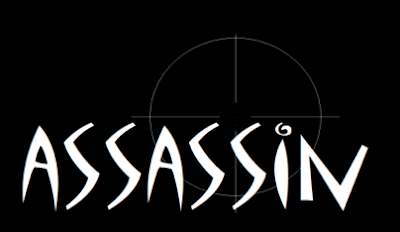 I was really excited about the Assassin project when I first heard about it in February. Soon afterwards I dropped Darren a few emails. In April I flew down to New Zealand to attend another conference on global education for studdex.com. Being in Auckland I took the chance to meet Darren and Holly. Driving down to Tauranga was a nightmare (see this post where I describe my first encounter with the Assassin) but well worth it. I was amazed by the Assassin moth immediately and also connected with Holly and Darren right away. What I really liked is the background Darren and Holly come from. Darren has been building boats for many years and both have been bladerider resellers for New Zealand and both sail the moth as often as they can. This is great as they know what they are talking about and fixed all the weaknesses of the Bladerider. Also when they want to improve something they can do so right away without sending lots of emails and pictures to China like BR needs to do. All Assassins are build right in New Zealand just off the shoreline. Also Dave replied that he doesn’t need to be gready when asked about the Assassin’s price. As I have build moths myself (even when none is finished at the moment) I really appreciated seeing the fabrication of the Assassin. When I saw the way boat was build and how many stringers it had and how stiff and light it was I knew that Darren and Holly where onto something big. When I had supper with them I told them that I have seen numerous mothies breaking stuff and waiting for more than 3 month to get a replacement part from BR. Thus I was suggesting setting up a spare part hub in Europe so when something brakes it can be replaced right away. Discussing this topic further is how I ended up with the resellership. In the future I will have a boat for demonstrations (just drop me an email to felix(at)foilermoth,com when you want to have a try). Also in the meantime you can always try out my old boat). And we will keep all, and I really mean all, parts here in Berlin and mail them out within 24h after we received the enquiry so you guys never have to stay on shore. As I already got the infrastructure in place through studdex we can support enquiries in the following languages: German, English, Polish, Italian, French and Arabic and we will be able to offer Portugese in September. Soon we will set up a website with all the information and offers. I am personally really excited about playing a more active part in the moth scene and would love to see even more boats on the water. More to follow soon. After doing the office we did my apartment. I am currently sleeping on a mattress on the floor and try to screw together my furniture when I get home at 9:30pm. I can already tell that I have got great neighbors – no one has complained about the noise -yet! On Wednesday I had to get rid of my moth as driving with a moth on the car though Berlin is not the best thing to do. Also I needed my car to go to the hardware store or to IKEA. My favorite lake is the Müggelsee but I called a few sailing clubs there and no-one can place a moth there as it is mostly to shallow. I also had one sailing club that told me that they don’t want to have a moth there! Stupid idiots! So for now I placed my boat at Stientzsee where the Berlin moth regatta has been held two weeks ago. For now my boat can stay there but I still have to find a new Club on a lake with more wind. So now that i live in Berlin whenever one of you comes here you can stay at my place and we can always arrange some sailing. I am going to the sailing club right now and try to repeat it. Conditions look good so far. Tonight I have to pack my moth up as it is getting a new home in Berlin. 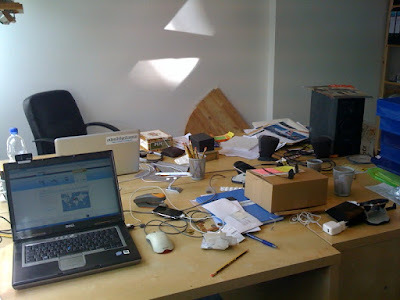 You are currently browsing the foilermoth blog archives for June, 2009.